Happy Easter! We thought we’d share with you some of the fun Easter eggs we’ve made this year for the cast and crew of musicals CATS at the London Palladium, The Jersey Boys – currently on tour in Dublin, and The Bodyguard on tour, currently in Newcastle. This is now the fourth year we’ve made eggs for the shows and it’s one of our favourite commissions. The production team are fabulously creative and so much fun to work with! 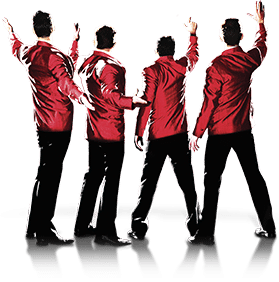 The Jersey Boys is the story of Frankie Valli and the Four Seasons, and has won an Olivier Award for Best New Musical. We were briefed to capture American glitz and one of the most striking images from the show are the red jackets worn by Franki Valli and the Four Seasons. Diana recreated the jacket design on the Easter eggs using a combination of techniques. We were really pleased with the resulting eggs and have already seen tweets from Tim Driesen who plays Frankie Valli. 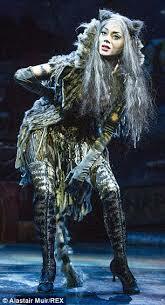 Our second brief was to create Easter Eggs for Andrew Lloyd Weber’s CATS at the London Palladium now coming to the end of a 12 week run staring Nicole Scherzinger. Diana went through several design iterations before the final Purr and Paw print which captured the shows sensuality. We had so much fun making these! The cast tweeted us the photo as they were given the eggs as a surprise. The final brief was for The Bodyguard the musical, currently on tour at the Newcastle Theatre Royal starring Alexandra Burke. This was the most difficult egg to create as we tried to recreate an iconic image for the show in chocolate. After several iterations with lots of ideas and input from Tim Jones, Diana created the Oscar scene that is one of the pivotal scenes in the show and surrounded the statue with a design incorporating song lyrics from the show. We also picked up the shows blue and gold colours in the packaging for the Easter eggs. The Easter eggs were completed with a selection of our fresh chocolates. 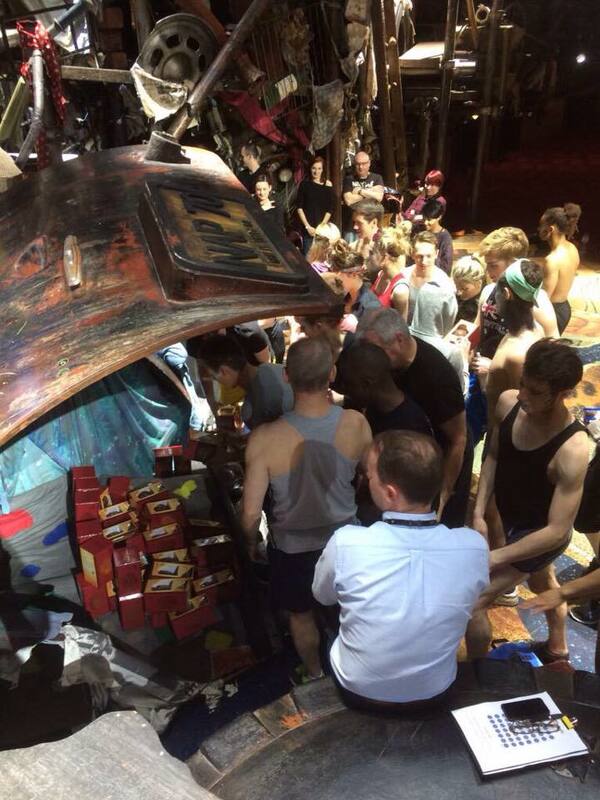 Jeff, Tim and the production team chose a selection of flavours and styles that the cast would find most delicious! We had so much fun making these eggs and hope the cast and crew love them too! This entry was posted in Blog, Corporate Chocolate Gifts, Front Page News, Latest Chocolate News. Bookmark the permalink. Win an Easter Egg – a Giant One!